Just a day after the Nokia 7 Plus appeared in press images, a live shot of the phone popped up. Expected to arrive at MWC 2018, the 7 Plus is going to be the first Nokia by HMD Global with 18:9 screen ratio as the photo reveals. 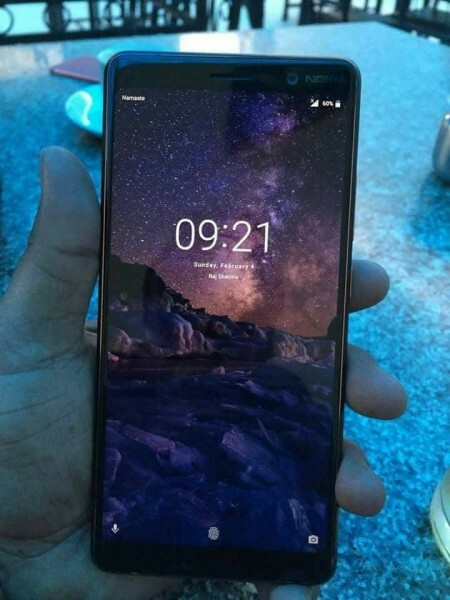 The photo shows that the Nokia 7 Plus will keep the stock UI HMD is implementing since the first Nokia 6. The tall screen will have rounded corners, although you have to tweak the brightness a bit to see the detail more clearly. The glass on top will be 2.5D curved panel and will protect the selfie camera, positioned in the upper right corner, right next to the Nokia logo. 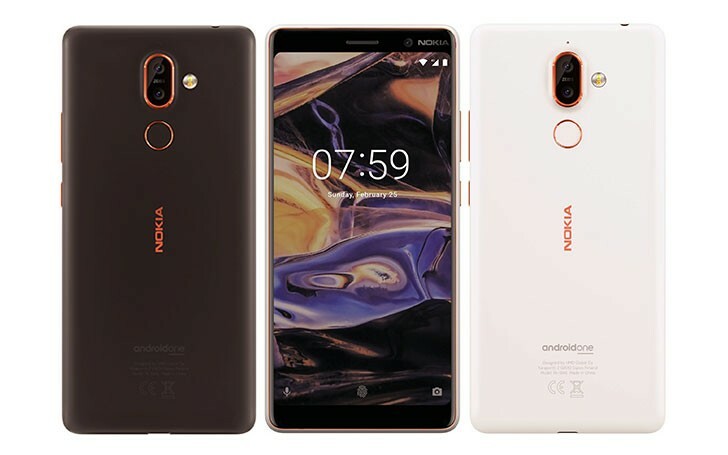 The Nokia 7 Plus is rumored to come under the Android One program and have Snapdragon 660 chipset, coupled with 4 GB RAM. It will also have dual cameras on the back, positioned in a vertical setup right above the fingerprint scanner. At least two colors will be available - Pearl White and Black with orange accents. Cheers to thamza26 for the tip!